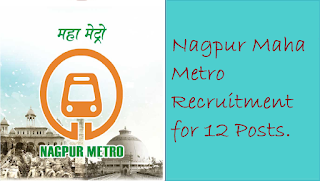 Government Adda 247 Engineer Jobs Government jobs Metro Jobs Nagpur Maha Metro Recruitment for 12 Posts. 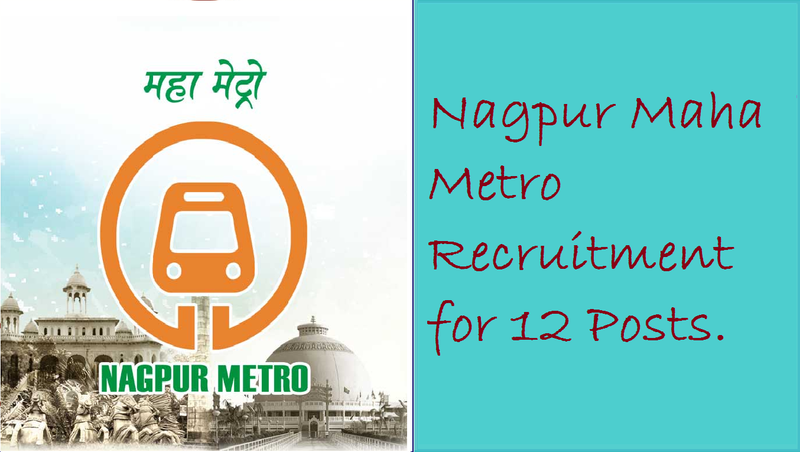 Nagpur Maha Metro Recruitment for 12 Posts. Maha Metro Recruitment, Maharashtra Metro Rail Corporation conducting recruitment for the posts of Junior Engineer (Civil), Junior Engineer Jobs(Click Here) (Electrical), Junior Engineer (S & T) & Junior Engineer (Mechanical) post for Nagpur Metro Rail Project. Interested and Eligible candidates can apply for the post online. The total number of vacancies for recruitment is 12. Aspirants having B.E./ B.Tech or Diploma in relevant discipline can apply for the posts. Candidates have to apply online for the posts and the last date to submit online application is 29 October 2018. To know more about the maha metro recruitment check the notification and the information given below. बीई/ बीटेक या डिप्लोमा इन सिविल/ इलेक्ट्रिकल/ इलेक्ट्रोनिक एंड टेलीकमुनिकेषण/ मेक्यानिकल और 1 साल का अनुभव. आयु सीमा : अधिकतम: 32 वर्ष, यानी एक उम्मीदवार का जन्म 02.08.1986 से पहले नहीं हुआ होणा चाहिये. ऊपरी आयु सीमा अनुसूचित जाति / अनुसूचित जनजाति 5 साल, अन्य पिछड़ा वर्ग 3 साल, विकलांगों को 10 साल, पूर्व सैनिक को 5 साल.